The Antec KÜHLER H2O 920 provides maximum-performance liquid cooling for your CPU in a quick, easy-to-install package. Unlike traditional liquid cooling systems, this self-contained unit comes prefilled and requires zero maintenance. The dual 120 mm Pulse Width Modulation (PWM) fans and 3rd generation copper coldplate ensure quiet, efficient cooling, while the 49 mm thick radiator is equipped to handle the highest performing CPUs on the market. 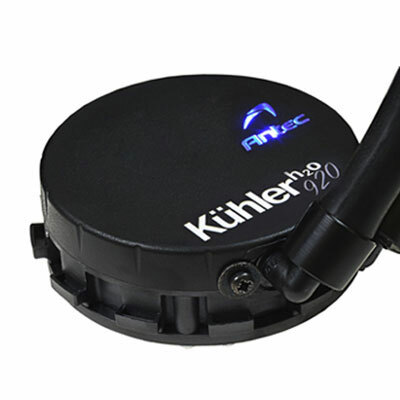 Lastly, the included software helps you monitor and control the KÜHLER H2O 920's performance and allows you to customize its stylish RGB LED. Designed to unlock the maximum potential of your CPU, the Antec KÜHLER H2O 920 delivers exceptional cooling when you need it the most.